This page contains links to people in our trees who have an interesting story to tell. 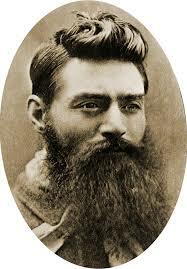 Craig’s GG Grandfather, Thomas Denis O’Sullivan, and his brother William, were among the townsfolk taken captive by Ned Kelly and his gang when they famously held up the town of Jerilderie, NSW on the 11th February, 1879. About 30 people were held overnight in The Royal Mail Hotel where Ned penned his famous Jerilderie Letter. Thomas was instructed by Ned to light the fire to burn the bank’s record books and Ned presented him with a handkerchief. 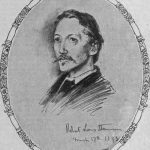 Thomas Denis O’Sullivan’s brother-in-law, William Thomas McGavin, also had an encounter with the Kelly Gang. The McGavin’s had a property not far from the Kelly property and William was a contemporary of Ned. The story goes that not long before the famous Glenrowan Siege of 1880, where he was captured, Ned and his brother Dan dropped into the McGavin family farm and gave William a pistol as a memento because, he said, they wouldn’t see him again. Celine’s GG Grandfather, Haim Jacob Ben Oliel, was a Rabbi in Oran, Algeria. Born in Morocco, he and his family fled their home in Tetuan during the Spanish Moroccan war in 1859-61, just before the city fell to the Spanish forces. He married twice and fathered a total of 16 children, one of whom was Celine’s Great Grandmother, Viva Benoliel. Craig’s GGGG Grandfather, Michael Keleher, and his wife Elizabeth and their children emigrated to Australia on the Lady McNaghten arriving on 26 February 1837. The Lady McNaghten sailed from Cork Harbour in November 1836 with over 400 emigrants from Ireland and a few from England and Scotland. She arrived in Sydney Harbour in February 1837 with disease raging on board and passengers and crew dying from typhoid. 73 passengers and crew died, including Michael and Elizabeth’s youngest child, Elizabeth, who died on the 8th February 1837 just a few weeks before the ship arrived in Australia. Michael almost didn’t make it himself, being described as “on the brink of eternity” in the Ship’s records. The circumstances of the condition of the passengers and crew necessitated the ship being quarantined at Spring Cove at North Head in Sydney – one of the first uses of Spring Cove as a Quarantine Station. William Boyd, 1883. This is his Prison Record photograph. William Boyd married Craig’s GGG aunt, Johanna O’Sullivan, in Rutherglen, Victoria in 1877. He was subsequently the licensee of the Phoenix Hotel in nearby Corowa, NSW. In February 1881 the hotel burned down. Although protesting his innocence, William was found guilty of Arson in October of 1881 and sentenced to 3 years gaol with hard labour. It probably didn’t help William’s defence when his mother-in-law testified that items of value had been removed from the hotel and transferred to her property by William soon before the fire. Just prior to this trial he was also sued by his father-in-law for maintenance of an illegitimate child, born to William’s wife’s 14 year old sister, who was allegedly the victim of sexual assaults by William. To the very indignant dissatisfaction of the crowded court, this case was dismissed. Craig’s Great Grandfather led a controversial life. He was dismissed from the NSW Fire Brigade in 1933, in the midst of the Great Depression, for refusing a transfer to another Station. This appears to have been a rather harsh response to his unwillingness to relocate. Around the same time his marriage was in serious trouble with his wife, Annie, taking out an Apprehended Violence Order and instituting divorce proceedings against him. This was surely very scandalous at the time – especially as his wife was a devoutly Christian woman. Frederick and Annie were clearly separated by 1933 with Frederick living with a widow, Lillian Lauret, at another house in the same street as the former marital home. Frederick and Lillian had a falling out in 1947 with catastrophic consequences – Frederick shot her with a pistol, injuring her in the shoulder. He was the subject of a Police manhunt in the ensuing days, which included the use of the latest addition to the NSW Police team – a tracker dog named Souri. After an exhaustive search, Frederick was believed by the Police to have died in the swamps around Granville. However, he survived and surrendered to the Police a few days later. He was subsequently tried and sentenced to prison for 18 months. Upon his release he was estranged from most of his family for the rest of his life. In a further twist, Frederick remarried in 1959 at the age of 78, misleading his 53 year old bride about his age – he told her he was 68. He died 18 months later. Craig’s GGG Grandfather, William Cadzow came to Australia from Scotland in 1855 in search of Gold. Within four months of his arrival in Melbourne he was on the diggings at Forest Creek near Castlemaine in Victoria. Just a couple of months after that, Craig’s Great Great Grandmother, Elizabeth Forsyth Cadzow, was born on the goldfields. Letters home reveal a hard but relatively plentiful life compared to that back home. By 1858 William and his young family had moved on to Buckland in the Ovens River area and then to Myrtleford. William died a painful death just a few days after Christmas in 1887. After leaving a friends house in nearby Wandiligong in the middle of the night he fell victim to a common goldfields hazard – an abandoned mine shaft. He fell down the shaft in the dark and although he was rescued early the next morning he died as a result of his injuries 18 hours later. Craig’s GGGGG Uncle, Richard Welsh and his wife Mary emigrated from Scotland to Utah, USA sometime between 1859 and his death in 1877. Richard and Mary’s son, James Welsh, was a Mormon and a practicing polygamist who had three wives. He was arrested by Federal Marshals and spent time in the Utah State Prison for Polygamy. James fathered a total of 15 children, and died in 1900 at age 57. Craig’s GGG Grandmother, Sarah Bason, was born in Potterspury, England and emigrated to New Zealand with her family in 1855. Her nephew, John Bason and his wife Mary (nee Williams) purchased a small farm near Wanganui in New Zealand in 1900. Their adopted son, Stanley Bason, and his wife Blanche transformed the bankrupt farm into a profitable enterprise, and then developed beautiful gardens on the property. Stanley was a very early proponent of sustainability principles. He displayed a clear consciousness of the footprint that he and his farming activity might leave on the environment which was decades ahead of his time. Stanley bequeathed his property to the Wanganui City in 1966 and today it is the renowned Bason Botanic Gardens. Read their story of hardship and struggle here. Visit the Bason Botanic Gardens website. Andy is seated in his Clements Holden #15 speedway car. 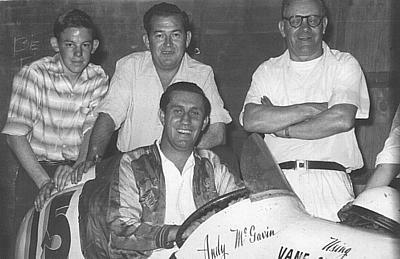 Andy McGavin, one of a long line of men named Andrew Ingram McGavin, was Craig’s second cousin, twice removed (i.e. his grandmother’s second cousin). He was a notable speedcar racer in the 1950’s and 60’s, winning many Championships and titles. The silver plate presented to Captain Robert Jones in recognition of his participation in the Greely Relief Expedition, 1884. Photo courtesy of Bob Jones & Kat Jones. Robert Jones was born in Cockenzie, Scotland in 1818. He was the cousin of Craig’s GGGG Grandfather, William Jones. In 1884 he was the Captain of a steamship, the Loch Garry, which was a part of a US Navy mission to rescue stranded Arctic explorer Lt. Adolphus W. Greely and his party. The mission successfully located and rescued Greely and the few surviving members of his group from the unforgiving Arctic wilderness that had held them hostage for over 8 months. Married to the sister of Craig’s GG grandmother, Percy Frederick Seaton Spence was a famed Australian artist who was an illustrator with the Sydney Daily Telegraph, Illustrated Sydney News and The Bulletin in their hey-days. 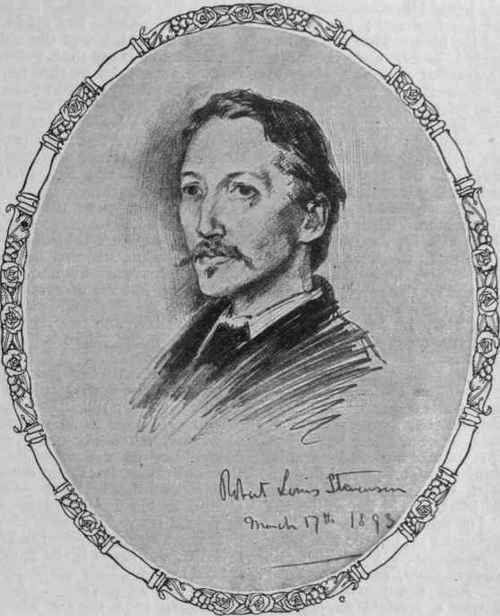 A drawing that Percy did of Robert Louis Stevenson in 1893 hangs in the National Portrait Gallery in London and other works are on display at the National Gallery and Mitchell Library in Sydney, the University of Sydney, the High Court of Australia and Buckingham Palace.